The Law Reform Commission recommended changes after the Eamonn Lillis trial. JUSTICE MINISTER CHARLIE Flanagan will not oppose, but will amend, a Private Members Bill that aims to stop people convicted of murder or manslaughter benefiting from their crimes. The Bill, proposed by Fianna Fáil’s Jim O’Callaghan, is due before the Dáil this week. It follows on from the recommendations of the Law Reform Commission (LRC) which was asked to examine the issue which arose in the wake of the Cawley v Lillis case. 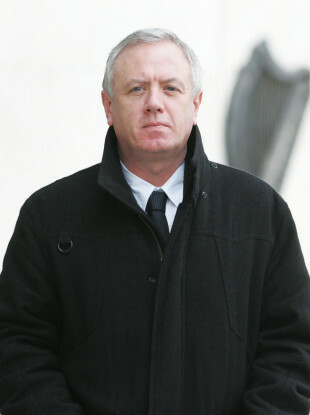 Eamonn Lillis killed his wife, Celine Cawley, at their home in Howth in December 2008. After being convicted of manslaughter, Lillis spent five years and two months in prison – walking free in April 2015. Following his conviction the Cawley family took action to prevent him from taking ownership of the home he jointly owned with his wife in Howth. As the law stands, under the Succession Act 1965, a person may not ordinarily inherit any part of the estate of a person he or she has murdered, attempted to murder or killed by manslaughter. The right of survivorship, applied even in the Cawley v Lillis case, however, the High Court decided that, under the current law, the interest of the deceased should be held by the surviving spouse – Eamonn Lillis – in trust for the deceased’s daughter. The Civil Liability (Amendment) (Prevention of Benefits from Homicide) Bill, which has become known as ‘Celine’s Law’, got approval not to be opposed at Second Stage on the basis that the justice minister will bring forward amendments at Committee Stage. Flanagan is understood to support much of the content of the Bill, however, the government wishes to clarify and perhaps amend areas to do with the position of a person who aids, abets, counsels or procures the commission of an offence or murder attempted murder or manslaughter. The LRC recommends that the prohibition from benefit should not apply to these people also, but the Attorney General and the minister disagree. They would like the rule to apply with the courts being given a margin of flexibility. The Bill is before the Dáil for a second reading this evening. Email “Minister to support 'Celine's law' proposals to prevent killers profiting from their crime”. Feedback on “Minister to support 'Celine's law' proposals to prevent killers profiting from their crime”.